In 2002, James Mutton, a 4th generation farmer at Burlerrow Farm, Bodmin, spotted an opportunity to gain an income stream from planting Miscanthus in some of his fields. Commonly known as Elephant Grass, Miscanthus is a high yielding energy crop that grows over 3 metres tall, resembles bamboo and produces an annual crop without the need for replanting. The rapid growth, low mineral content, and high biomass yield of Miscanthus increasingly make it a favourite choice as a biofuel, outperforming maize (corn) and other alternatives. Originally James produced the crop to yield roots that could be sold on to other growers for seed multiplication. However, the company purchasing the crop went into administration, forcing James to look at alternative uses and after extensive research he found that Miscanthus had unique moisture absorbing properties due to its bamboo-like structure which has a spongy inner core. It can absorb up to three times its own weight in moisture making it ideal for horse bedding. Fast forward to 2017, and what started as a farm diversification project has now become a thriving animal bedding and bio fuel business. 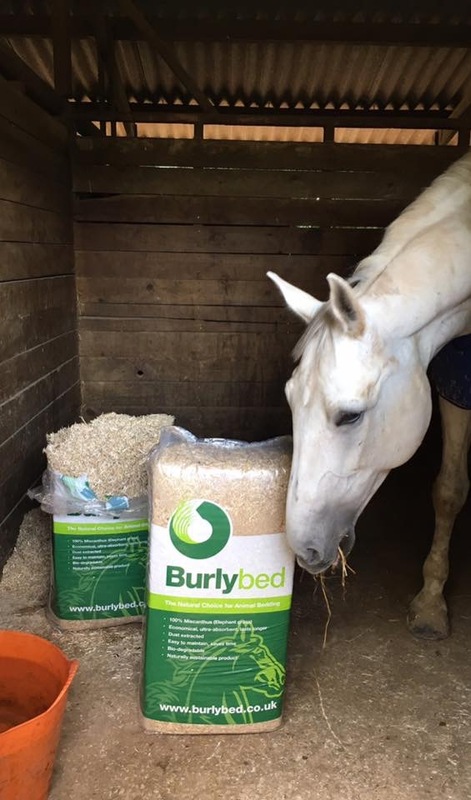 After some trials with a farm in Somerset which was making animal bedding on a small scale, the product proved so successful the Burlybed horse bedding brand was born. Sales have doubled since the business started and the farm is also branching out into pet bedding, poultry bedding and logs made from the compressed dust extracted during processing that can be used for wood burners or barbecues. An initial rural development grant in 2009 enabled a storage and processing facility to be built on the farm, but when the harvested bales of Miscanthus were ready to be processed James had to hire a machine brought in on a trailer to process the bales into bedding which was expensive and time consuming. A LEADER grant secured through the Atlantic and Moor Local Action Group enabled the farm to add a specific shredding system into the processing line. “The machine has cut labour time and reduced the dust and noise going into the atmosphere and it gives us a better product, so it has improved our saleable product. “It has enable us to expand and we are looking at the next stage of expansion, so it has been a stepping stone and we can now take that next step and push sales,” James says. The farm has 120 acres of Miscanthus and there are another 400 acres grown on farms across Cornwall which produces the crop for Burlybed. A small amount of the crop is used for energy, there are 2 biomass boilers on the farm that provide heat and hot water to various building and the drying facility in the processing building. Burlybed supplies retailers and wholesalers across the UK and has also started supplying some large equine yards. The main competitors produce bedding from straw or wood shavings, both which are becoming scarce and are not carbon neutral and as environmentally friendly. Miscanthus is natural, carbon neutral and it rots like straw so can be put back onto the fields. Although there are other competitors, Burlybed is a unique product due to the way it is harvested and processed. James buys some Miscanthus from outside Cornwall, however with more Cornish farmers coming on board and the new machine, stock levels are building, and the aim is to produce all the crop needed within the county going forwards. The new machine has been running since February 2017 and it has helped James to take production to the next level and plan for further expansion. James is a pioneer in the market, he has learned a lot along the way and is now paving the way for other people to earn an income from the crop which can be grown on marginal land. The new machine purchased with the LEADER funding has led to increased hours for one member of staff and the recruitment of a sales and marketing assistant to drive forward the expansion.